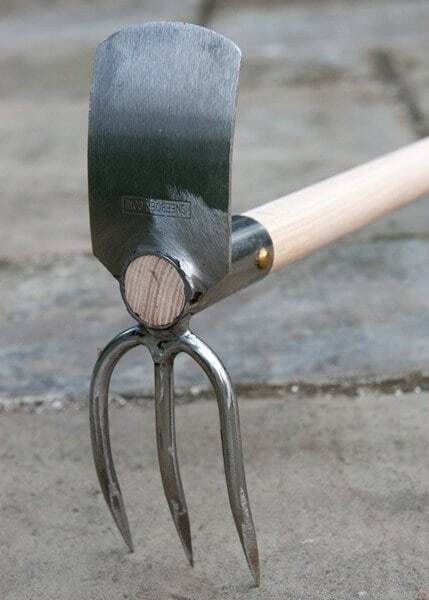 This handy Sneeboer mattock combines two heavy duty tools in one to help you work over even the most compacted soil. 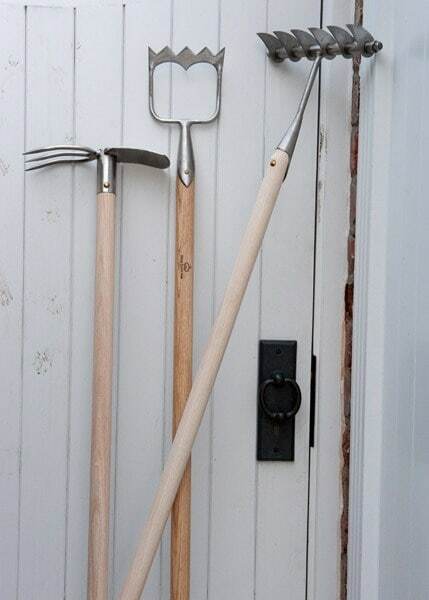 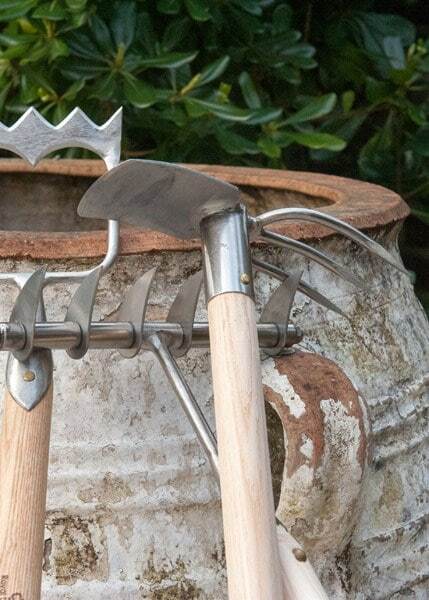 With a sturdy mattock blade and sharp three-tined fork, the tool is excellent for breaking up soil, lifting out stones, aerating, cultivating, weeding and creating holes for planting - all without having to stop and switch tools. 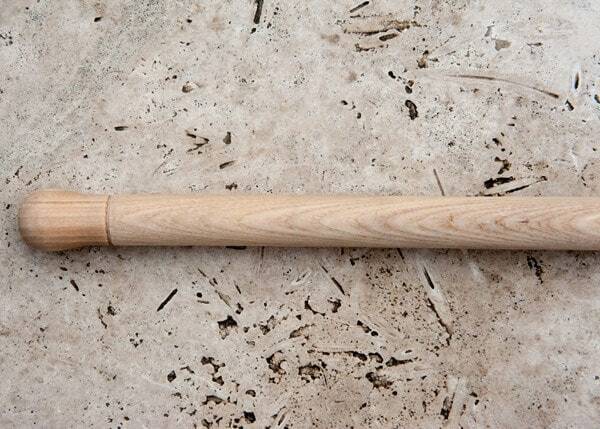 Great for staying focused on the job! 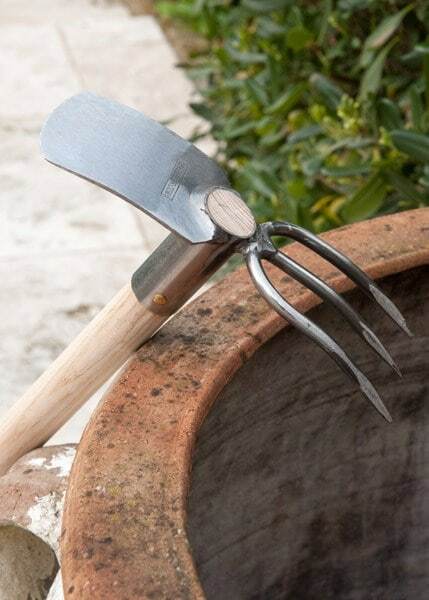 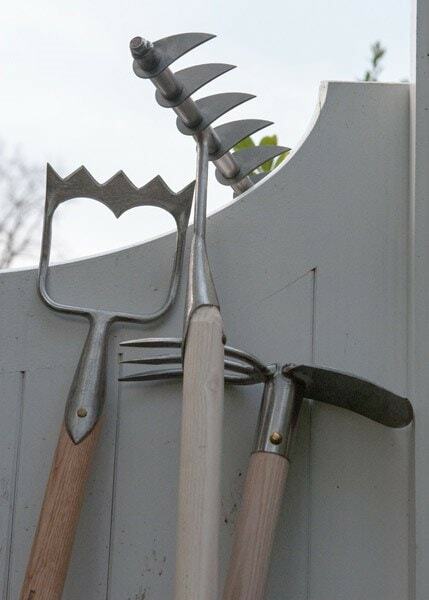 The hand-forged stainless steel head is fitted to a longer-length ash handle, reducing bending and backache and giving you a good reach across your plot. 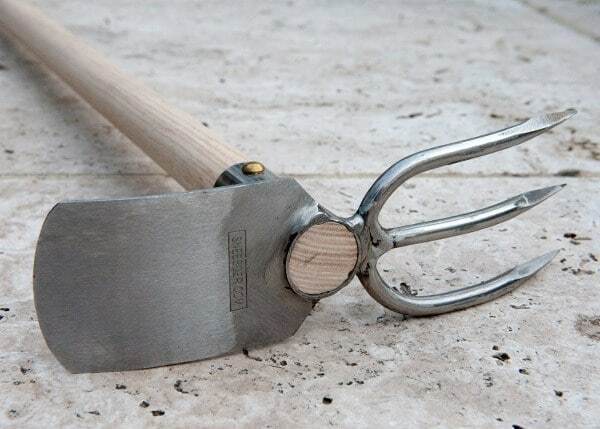 Their master craftsmen combine old-fashioned attention to detail with an appetite for innovation, which has produced some of the best-performing tools we've come across - strong, well-balanced and a pleasure to use.